Someone shared with me recently that if a fire fighter trips and hurts himself while trying to save you from your burning house, you can be sued…for a lot of money. I’m not sure why my friend shared that with me…well, maybe it was a subtle encouragement regarding the clutter in my home. Golly, I hope my house doesn’t catch on fire ’cause I’d get sued for sure! There’s just something about the hallway upstairs…it’s full of tripping hazards. Laundry, books, baskets of odds and ends, piles of dirty clothes, towels (damp and dry), an occasional doll, parts of games, sometime a pair of shoes or just one, and a basket of a ridiculous amount of odd socks. The most confounding thing is that my children are oblivious! Honestly, I believe it’s all invisible to them. What is that? And why don’t I have it? What a blessing blissfully unaware would be! Unfortunately I’m exceedingly aware of the messiness and all the tripping hazards…and it’s driving me bonkers. Of course, being driven bonkers implies that it’s my destination…I think bonkers is the vehicle I’m riding in. I just can’t figure out if I’m driving it or riding in it! I’ve always wanted an organized, beautiful home. Who doesn’t?! In the past I wanted order in my home for different reasons. I wanted our home to be a restful place for my husband when he returned from work and for my children to know the joy of a peaceful environment. I also wanted to be able to offer hospitality on a whim. Now I want my house to be nice because I don’t want to lose any more of my mind….really. This past week has been exceedingly busy and it culminated with the stomach bug hitting. Right now, our house is not as lovely as I’d like. And, to some degree, I’m okay with that. But on another degree (is that even a saying?) it’s really stressing me out. And it isn’t because people are going to stop by – I’m pretty sure the flu has stopped anyone from dropping in! It’s because this life is so crazy…I don’t want my house to be too. A messy house = a terribly impatient mother. It’s like I become as messy emotionally and mentally as my home. I keep trying to point it out to my children but they aren’t getting it. I’m not sure why because I can certainly tell I’m impatient and irritated easily. Maybe this is another case of them being blissfully unaware. Maybe I need to be a bit blissfully unaware too. There was a season a few years ago right after my husband left when I was. I whittled life down to the essentials and the house being immaculate was not an essential….at all. Essential was defined as loving my children with my actions, words, and time spent together. In thinking back, I’m realizing it was a choice. I chose to focus on the people in my life instead of the things. I want to choose that place again. I don’t have to be blissfully unaware of my surroundings, but I’d like to be blissfully aware of my children. 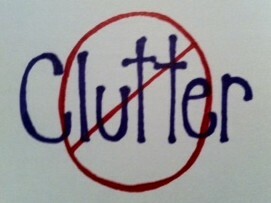 My children are much more important than the clutter they create. I could start by figuring out what absolutely needs to be done and working with my children in a gracious and organized way to get it done! I could choose to spend time with them rather than spending all my time fussing about the house. Honestly I do feel like I spend all if not most of my time grumping about the house. My poor children! I could pray that God would calm my mind and heart so I could hear His leading on this. I know He desires me to bring everything to Him and He truly does care about all my silly and not so silly stuff. Lord, there’s so much to do and I don’t want to be only doing. Father, I want to be momma more than housekeeper. Please help me use my time wisely and efficiently so I can focus on the precious people in my life rather than the things that literally trip me up! Previous Article What do I pray…really? Somethings you can let slide and adjust but somethings have to be addressed. While its nice to say “oh I’ll just enjoy my children and ignore the clutter” thats setting upp additional stress for you. Sometimes, your needs have to be considered too and sometimes they need to come first and the kids wants second. Its a hard decision but sometimes YOUR needs have to be considered too. Awesome reminder! I don’t to this day understand how the children can not see that pile of stuff (mostly all there stuff)at the bottom of the steps that needs to be carried up the steps and put away… I definitely get reminded that I do not want to be oblivious to Gods Blessings and gifts each day when I see that pile at the bottom of the step that the children don’t see. I love ur blogs and am so encouraged when I read them! Thank u for being so vulnerable and open to share it is truly a blessing in this life that seems at times to be so confusing. Prayers for u as u continue to do one of the best jobs a woman could ever have” being a momma”.